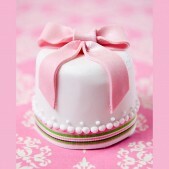 Perfect for birthdays, christenings, babyshowers and to accompany any cakes at any celebrations! 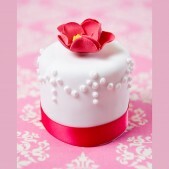 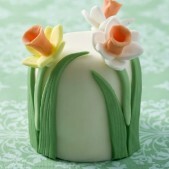 Also view our Miniature Wedding Cakes page & gallery. 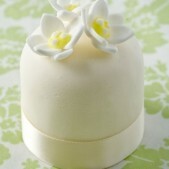 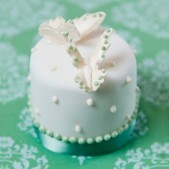 No matter what the occasion, a miniature cake is a tasty and perfectly dainty way of celebrating. 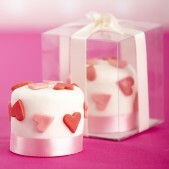 These adorable little cakes are often the preferred choice of those looking to add an extra personal touch to any event or occasion and they can have their own bespoke design or they can be created to accompany a larger cake, cookies or cake pops. 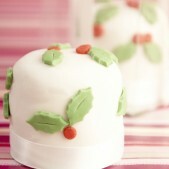 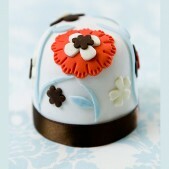 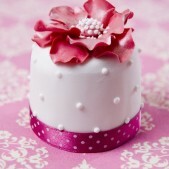 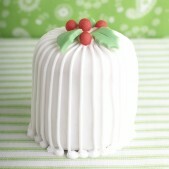 Miniature cakes start from £9.95 per cake with a minimum order of 12 cakes. 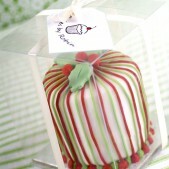 We can deliver free of charge in and around London. 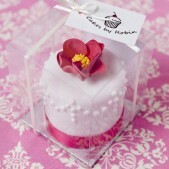 Delicately iced and topped with edible sugar roses and sweet frosting, our miniature cakes are freshly baked in our south west London cake studio and can be individually boxed and finished with ribbon or presented together in one box, according to your needs. 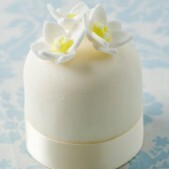 As individual treats our miniature cakes are also very popular with our corporate clients as they are ideal for product promotions, celebratory events and special occasions. 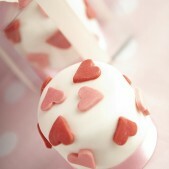 See our miniature love heart cakes page for more photos of these precious cakes. 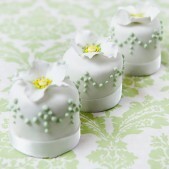 Also see our cupcakes and wedding cupcakes pages for more photos and inspiration.